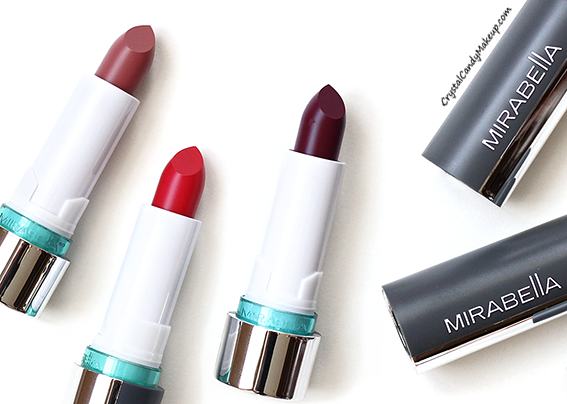 Matte lips are everywhere these days but if you don't love this trend, you might want to check out Mirabella's Colour Vinyl lipsticks! They are highly pigmented lipsticks with a glossy finish and they contain argan oil, raspberry and litchi extracts to moisturize and revitalize the lips. The 3 shades I tried are highly pigmented but Cherry Shine and Icy Violet aren't completely opaque. They look like a gloss, but they have the same color payoff than a lipstick! They do feel more sticky than your typical lipstick though. Because the texture is quite thick and a tad sticky, without being oily, the staying power was pretty good (4 hours) and they didn't have a tendency to bleed around the lips. If you don't like lips products with fragrance, these lipsticks would be suitable for you because they are fragrance free! 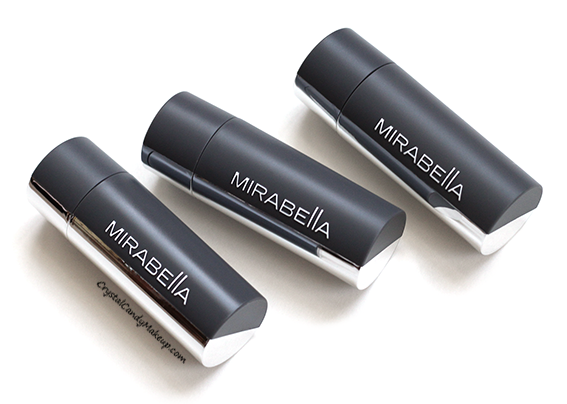 The Mirabella Colour Vinyl Lipstick retail for $26 CDN for 2.2g.